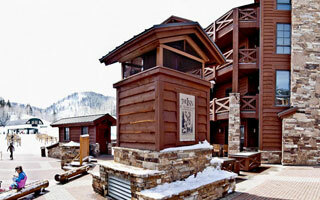 The Inn at Silver Lake is a luxury ski-in/ski-out property located in Silver Lake Village, mid-mountain at Deer Valley Resort. The residences offer three and four bedrooms with spacious floor plans and feature a gourmet kitchen, private hot tub, washer and dryer, fireplace and complimentary wireless Internet. The Signature Collection's complimentary in-town transportation, provided by Cadillac, is offered during the ski season.